English version - CUS Roma Tiro con l'arco A.S.D. 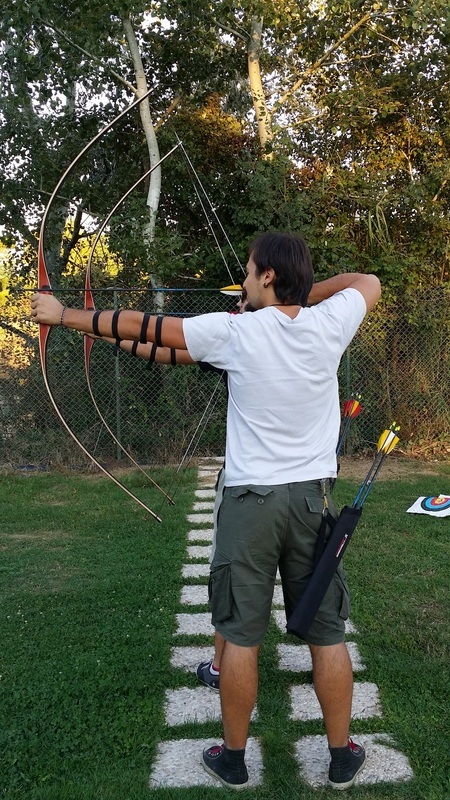 Archery Section is a Federal Section of CUS Roma (University Sport Centre of Sapienza University of Rome), the only one at the National level, where activities are practiced continuously and systematically by athletes belonging to different classes and ages, for 365 days a year. To ensure accurate and planned management of the athletes aiming to promote competitive activity for all classes and age groups. CUS Roma offers to all members various types of training depending on own level, with the support of qualified FITARCO technicians, and at scheduled times. It is addressed to all those who come for the first time to archery. The m﻿inimum age to start is 8 years. Duration and topics: the course is held in 10 hours in which the basic techniques of archery, security and safety rules, and a basic knowledge of the equipment are provided. Equipment: during the course, the archery material will be provided by the school. 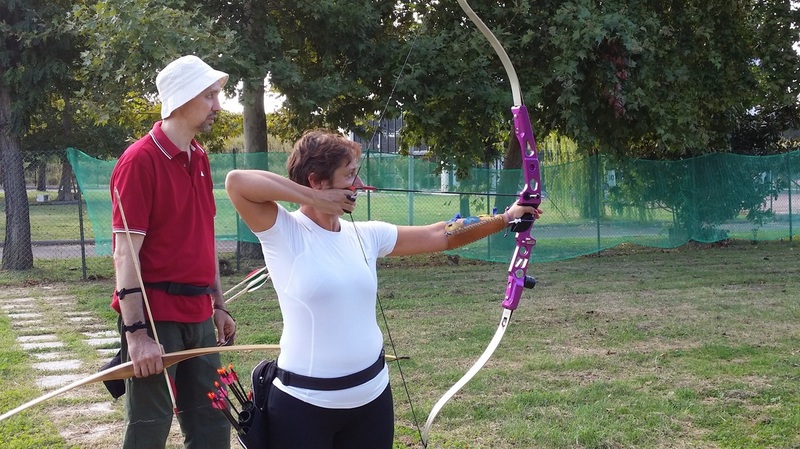 Certification: at the end of the course each participant will receive a fitness Certificate which enables for the enrollment at any structure associated with the FITARCO (Italian Federation of Archery). Sapienza employees or other associative status, the information are provided by the secretariat of CUS Roma. This course is aimed at those who, having done the 1st Level Course, and wishing to continue archery as sport activity, enroll to the CUS Roma - Archery Section and register to the FITARCO. Duration and topics: the course is subdivided into the Youth Sector (U18) and University/ adult Sector. Youth Sector: children under 18 are trained 3 times a week. University /adult Sector: 20 hours divided into 10 lessons of 2 hours each weekly or bi-weekly, to be held in a period up to 6 months, well after the end of the 1st Level Course. The Advanced course provides more in-depth concepts on the archery techniques, such as set up the bow, use of materials, etc. Equipment: once enrolled at the Archery Section, the athlete will have to buy the equipment necessary to carry on with the sport of archery. In the purchase, the athlete will be supported by the instructor who, on the bases of the characteristic of the archer and the type of the bow chosen, will suggest the most suitable equipment. Medical Certificate: after the enrollment to the Archery Section, for practicing agonistic sport activity, it is needed the delivering of the Agonistic Medical Certificate (validity 2 years) issued by Centers for Sports Medicine. The Modules for requesting the Certificate are available at the secretariat of the Archery Section. The Goals that characterize the athlete management are aimed at the practice of sports activity to achieve the qualification to the Championships (Regional and National). Participate in races on the calendar according to own abilities and experience, also on the advice of the technician who follow her/him. Amateur level: it is possible to come to the field of archery for non-agonistic purpose, but simply to relax by practicing archery. Even in this case, the instructors will be at your disposal for any advice or suggestion, compatible with other commitments they have undertaken during their presence in the field. For the Amateur level, it is required to submit only a medical certificate of good health (validity 1 year). The spread and the teaching of archery, along with start-up and technical preparation of young people in this sport, are among the main goals of CUS Roma. The Youth Sector in this Section of Archery is responsible for the management of boys / girls through the following sports activities: Agonistic Sector and Preparation to Agonistic Sector. Agonistic sector goals: to provide a thorough and appropriate preparation on technical fundamentals that allow the athlete to know how to manage and deal with sport competition. Preparation to agonistic sector goals: to provide, in a gradual way, the young people who come to this sport, the basic element for practicing archery in safety in a peaceful and fun environment.